**This offer is available again in case you may have missed this! 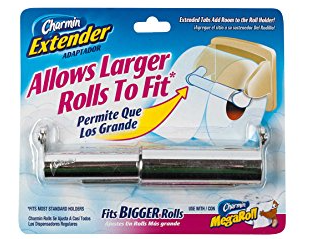 To get a FREE Charmin Mega Roll Extender you can fill out the form or you can call 1-800-777-1410 and select the options for the free Charmin Extender! Then leave a message with your name and mailing address. The entire call is automated, so there’s no need to speak with anyone. Get up to 3 FREE Charmin Mega Roll Extenders per household!